Nokia Transport is among the several Nokia applications that are about to be released on all existing Lumia smartphones, and we just got the chance to see it in action at MWC 2012. Its goal is to facilitate commuting from one place to another by using nothing but public transportation. In a nutshell, it gets your current location via GPS so you only need to tell it where you need to go, after which Nokia Transport does its magic. 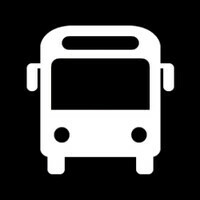 It provides you with walking directions to the station, where you need to board the required type of transportation, be it a bus or a subway, and will even give you an estimated arrival time. Nokia Transport will work in 500 cities worldwide at launch, and we hope that many more will be added to the list over time. Want to see how the app works? Just check out the hands-on video demonstration below. This looks so much better on Windows Phone than it does on my N8, and it looks like more detail/information is included. This will be even more useful when they add additional cities.